We can deliver only on certain days of the week to ensure your products are delivered fresh. Select the fastest processing and shipping methods to receive your order on the earliest available date. 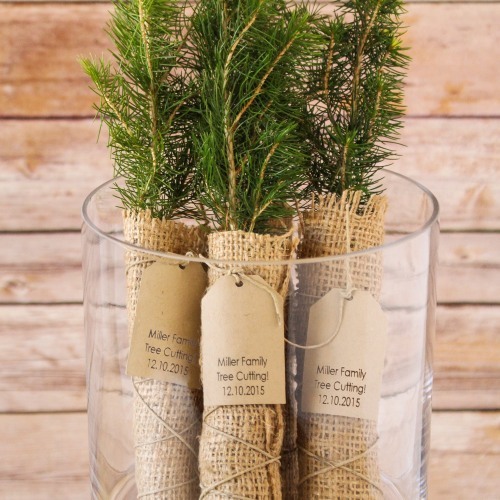 For a truly green party or event, there's nothing better than this personalized evergreen tree seedling favor. 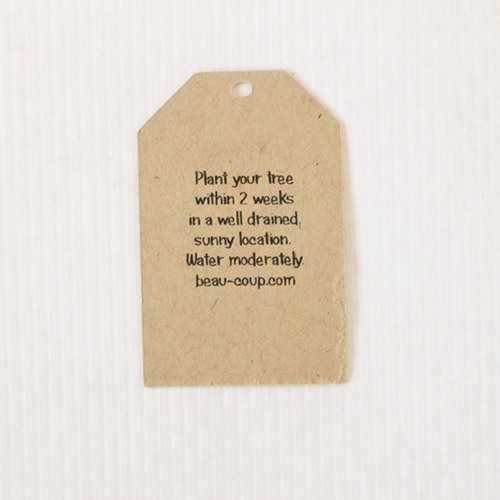 It's a real tree seedling, individually wrapped in burlap bags, and finished with a complimentary personalized tag. 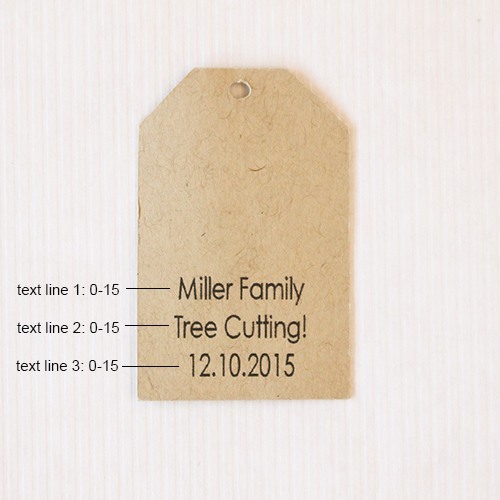 This favor is ideal for your outdoors, woodland, or rustic themed event.